With 17 years of experience in education, Chris has been described as a “knowledge-bringer.” He listens interpretively and collaborates well with all stakeholders—truly authenticating knowing and understanding his audience. As a skilled developer and facilitator for professional learning, he creatively finds ‘windows’ to culture the sharing of perspectives and relating them to research-based solutions. From this, clients are able to identify immunities to shifting practice in their own context. He is a dynamic presenter for professional learning seminars and is founder and educational program leader for Flipping the Focus (supporting educators in their journey to solving adaptive challenges through innovation and employing strategies & models for facilitating collaborative learning experiences). Several examples of Chris’ perspectives on educational leadership and support for educators can be found in his professional blog. Through the web-based platform, Flipped PL, he engages his audience to personalize professional learning through blending learning components. 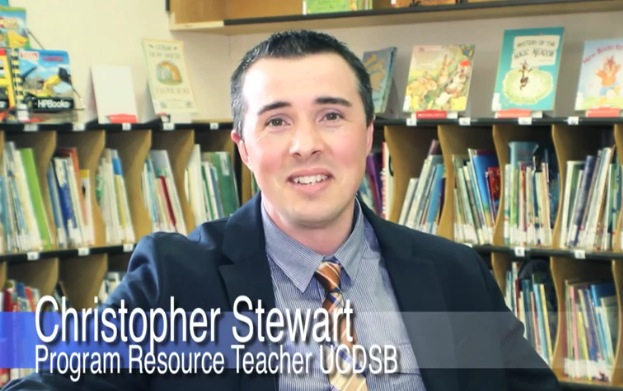 Curious as to how research intersects with pedagogical practice, Chris has engaged in action-based research in the following areas: Professional Learning Communities, Student Voice, and Flipped Learning. Current areas of interest include Thinking Classrooms and Culturally-Reponsive/Relevant/Relational Pedagogy. Recently, Chris has joined the University of Windsor’s panel of instructors for Additional Qualifications courses (Faculty of Education) and will be facilitating both Intermediate and Senior Mathematics ABQs. Contact Chris to see how he can collaborate with you to meeting your professional learning goals.